Bharti Airtel, the group’s flagship company, is amongst the world’s largest telecommunications companies, offering mobile, fixed broadband and digital TV solutions to over 403 million customers across India, South Asia and Africa. Sunil has been the pioneer of the mobile revolution in India. At a time when mobile telecom was considered inaccessible for the masses, Bharti Airtel revolutionized the business model to offer affordable voice and data services. Starting from operations in one Indian city in 1994, to presence across 18 countries today, Bharti Airtel has transformed the quality of lives of millions of people globally, providing connectivity and digital empowerment. The company continues to focus on driving data as the ensuing growth frontier, and is leading the rollout of next generation data networks across India and Africa. Sunil is a recipient of the Padma Bhushan, one of India’s highest civilian honors, awarded to individuals for demonstrating distinguished services of high order. He has also been awarded Harvard Business School’s Alumni Achievement Honor – the utmost honor accorded by the institute to its alumni. He is the recipient of GSMA’s prestigious Chairman award, besides being decorated with numerous industry honors. Sunil has been conferred Honorary Doctorates by several leading universities in India and UK. Sunil serves on many international bodies and think-tanks – after serving as Chairman for 2 years, he is now the Honorary Chairman of the International Chamber of Commerce (ICC). He was the Chairman of GSM Association (GSMA) from Jan 2017 to Dec 2018. He is a Member: International Business Council-WEF, Telecom Board of International Telecommunication Union (ITU), and Commissioner of the Broadband Commission, Global Board of Advisors at the Council on Foreign Relations (CFR), a Trustee at the Carnegie Endowment for International Peace and on the Board of Qatar Foundation Endowment. He also served as President of the Confederation of Indian Industry (CII), the premier industry body in India in 2007-08. Sunil is closely associated with spearheading the Indian industry’s global trade, collaboration and policy - he has served on the Prime Minister of India’s Council on Trade & Industry. He is also a member of the India-US, India-UK and India-Japan, India-Sweden CEO Forums. 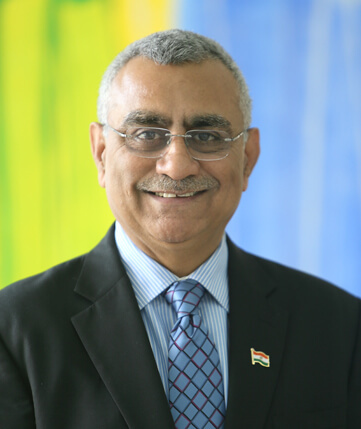 He is Co-Chair of the India-Africa Business Council and India-Sri Lanka CEO Forum. Deeply associated with the cause of education, Sunil is on Harvard University’s Global Advisory Council, Board of Dean’s Advisors at HBS and Governing Board of the Indian School of Business. Sunil believes that a responsible corporate has a duty to give back to the community in which it operates. This belief has resulted in Bharti Foundation, which operates 254 Satya Bharti Schools as well as supports over 600 Government schools under Quality Support Program to ensure holistic education for over 2,50,000 under-privileged children in rural India. Sunil was ranked among the Top 25 Philanthropists in the World in 2009 by the Barron’s Magazine. He is also a Member of the Board of Trustees of Qatar’s Education Above All Foundation. 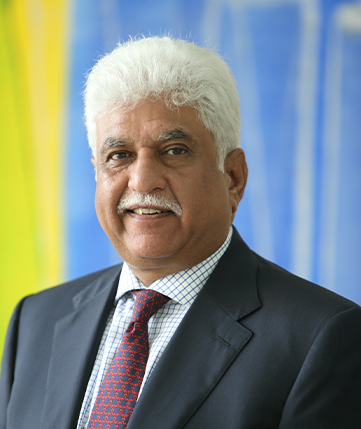 Rakesh Bharti Mittal is Vice-Chairman of Bharti Enterprises, one of India’s leading business groups with interests in telecom, agri-food business, financial services, realty, and communication & media devices. Bharti Airtel, a group company, is among the leading global telecom service providers with operations in 18 countries across Asia and Africa and has over 403 million customers. Bharti Infratel, a subsidiary of Bharti Airtel, is a leading provider of passive telecom infrastructure in India. Bharti has joint ventures with several global leaders: Singtel, AXA, Del Monte, SoftBank, and Brightstar. Rakesh is the Chairman of Bharti AXA Life Insurance, Bharti AXA General Insurance and FieldFresh Foods. He is also a Non-Executive Director of Bharti Airtel and Managing Director of Bharti Realty Holdings. Being a long standing and active member of the Confederation of Indian Industry (CII), Rakesh has been elected as President of CII for the year 2018-19. Rakesh has been a member of the CII National Council since 1999 and has served as the Chairman of CII CSR Council, Development Initiative Council, National Council on Agriculture, CII Public Policy Council and the Membership Council. He has also served as a member of several CII National Committees as well as the Chairman of its Northern Regional Council. Rakesh is a member of India-UK CEO Forum, India-Japan Business Leaders’ Forum, India Pakistan Joint Business Forum (IPJBF), Founders Circle - Brookings India and the Indian Council for Research on International Economic Relations (ICRIER). He is also a member of Board of Governors of Indian Institute of Corporate Affairs (IICA). In the past, he served as a member of Agricultural and Processed Food Products Export Development Authority (APEDA). He has also served as member of the Society of Indian Council of Agricultural Research (ICAR) and the National Food Processing Development Council (NFPDC), MoFPI, Government of India. A passionate advocate of right to good education, Rakesh serves on Boards of several educational institutions. He is on the Board of Indian School of Business (ISB) and Chairman of the Advisory Council of the Bharti Institute of Public Policy at ISB, Mohali. He is a Member of the Court at Bennett University and Member of the Executive Council at Uttarakhand Open University. 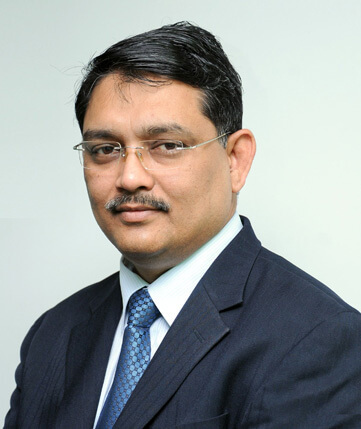 Rakesh is the Co-Chairman of the Advisory Board of Bharti School of Telecommunication Technology & Management. He is the Chairman of the Governing Council of Sat Paul Mittal School. Rakesh also serves as member of the Managing Society and Governing Board of Dayanand Medical College & Hospital, Ludhiana. In the past, he has served on the Advisory Council of the Indian Institute of Technology (IIT) - Delhi, a member of the Board of Governors of Thapar University, Punjab and the Punjab Education Development Board. Rakesh served as a member of the ‘Round Table on School Education’ for Ministry of Human Resources Development, Government of India. He also served as a member of the International Advisory Council of Southern Methodist University (SMU), Dallas, USA and the Executive Council of YMCA University of Science and Technology. Rakesh was also a member of India – Canada CEOs Forum and Punjab Investment Advisory Council (PIAC). Rakesh believes that a responsible corporate has a duty to give back to the community in which it operates. This belief has resulted in Bharti Foundation, which operates 254 Satya Bharti Schools as well as supports over 600 Government schools under Quality Support Program to ensure holistic education for over 2,50,000 under-privileged children in rural India. With a focus on girl child (50% girls), these schools provide free education, mid-day meals, books and uniforms to all the children. Rakesh has been awarded the Honorary Doctor of Civil Law Degree by Newcastle University, UK. He is a recipient of several awards including the prestigious ’Horasis – Indian Business Leader of the Year 2016 Award (Internationalization), ‘Institute of Engineers - Engineering Excellence Award 2004’, and ‘LMA - Entrepreneur of the year Award 1992’. 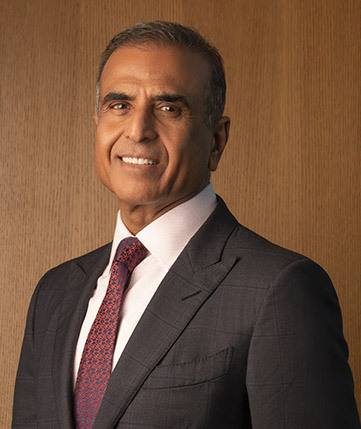 Rajan Bharti Mittal is the Vice-Chairman of Bharti Enterprises, one of India’s leading conglomerates with diversified interests in telecom, insurance, real estate, agri and food, besides other ventures. Bharti has joint ventures with several global leaders: Singtel, AXA, Del Monte, SoftBank and Brightstar. Rajan serves as Chairman of Indus Towers. He is also a Non-Executive Director of Bharti Infratel and Managing Director of Bharti Realty Holdings. 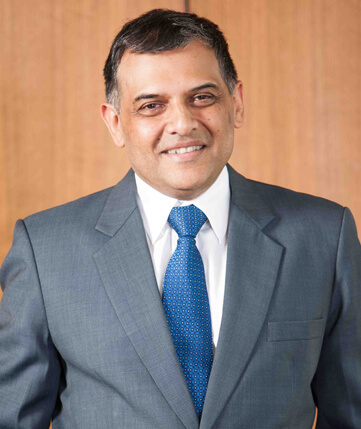 Born in 1960, Rajan joined Bharti Enterprises after graduating from Punjab University. An alumnus of Harvard Business School, he is actively involved in overseeing the activities of the group at the corporate level. With his rich experience in the marketing function, he is also involved in many of the new business ventures of the Group. 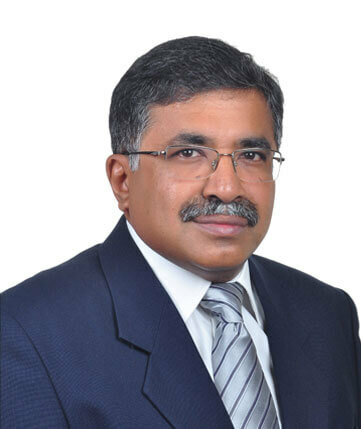 Rajan serves as a member of several industry associations and policymaking bodies. He is currently on the Board of Trustees of Brookings Institution, the world’s oldest and most prestigious think tank and a member of the President’s Council on International Activities (PCIA), Yale University. He is also a member of the Indo-French CEOs Forum and India-Singapore CEO Forum. In 2013, he was the President of ICC (International Chamber of Commerce) India. He was also the President of FICCI (Federation of Indian Chambers of Commerce and Industry) for the year 2010 - 2011 and is currently a Member of its Executive & Steering Committees. 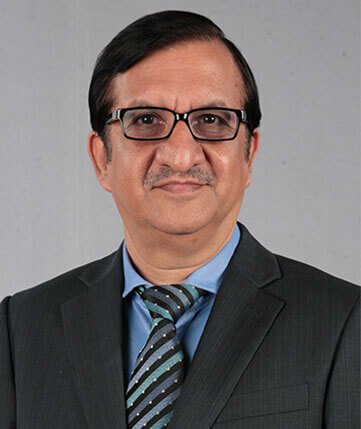 Rajan has also served as the President of Association of Basic Telecom Operators (now known as Association of Unified Telecom Service Providers of India - AUSPI) for 1999-2000. Rajan has been honored with the “Indian Business Leader of the Year Award 2011” by Horasis, The Global Visions Community and has also been awarded the “Leonardo International Prize 2012” by Comitato Leonardo, the Italian Quality Committee. Akhil is the Vice Chairman of Bharti Enterprises and Executive Chairman of Bharti Infratel Limited. He has played a pivotal role in Bharti’s phenomenal growth right since inception and has been closely involved from the very beginning in the growth of Bharti in the telecommunication services sector – both organically and by way of various acquisitions. Gopal Vittal is currently serving as the Managing Director (MD) & Chief Executive Officer (CEO) - India & South Asia. In his role as MD & CEO of the country’s largest privately integrated telecom operator he is responsible for defining and delivering the business strategy and providing overall leadership for Airtel’s India & South Asia operations. Under Gopal’s leadership Airtel has won multiple awards across Corporate Governance, Treasury, Sustainability and Innovation. Airtel has been recognized as the second most valuable brand in the country by Brand Equity. Gopal was previously with Bharti Enterprises where he was the Group Director of Special Projects. In this capacity, he worked towards formulating and supporting Airtel’s International strategy and expansion. He also held the post of Director, Marketing at Bharti Airtel where he made significant contributions towards driving revenue growth, market leadership and building Airtel as an iconic brand. In addition, Gopal has also been with Hindustan Unilever, where he headed the US$3.5bn Home and Personal Care Division. Over a twenty year tenure at Unilever, he worked on several national and global assignments across sales, marketing and general management. Raghunath Mandava, took over as Managing Director (MD) and Chief Executive Officer (CEO) - Airtel Africa with effect from January 1, 2017. 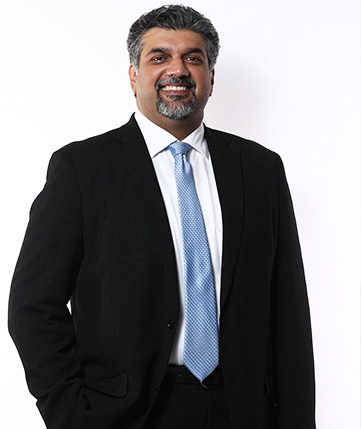 Raghunath, an Airtel veteran, joined Airtel Africa as the Chief Operating Officer from 1st April, 2016 and having well settled in this role, took full leadership control. He joined Airtel Africa from Airtel India & South Asia where he was Director – Customer Experience. During his tenure as Director – Customer Experience, Raghu brought in new thinking and innovation, enabling Airtel India to take big leaps in the experience scores, while costs were reduced significantly. Previously, he has had successful stints in several roles such as Operations Director, Chief Marketing Officer Mobile – Airtel India, CEO – Rajasthan, COO – Tamil Nadu (TN) etc. His stint in Rajasthan saw our RMS in that Circle, a 6-player market, leap from 25 per cent to 42 per cent in 3 years. Prior to his joining Airtel in 2003, Raghu worked in Hindustan Unilever in several Sales, Marketing roles and general management roles. Raghu is Indian, married and has two daughters. He is a B.Tech in Electronics from IIT Kharagpur (1988 batch) and an MBA from IIM - Bangalore (1990 batch). Devender Singh Rawat or DS, as he is commonly known, is the Managing Director (MD) & Chief Executive Officer (CEO) and is known as a profound leader within the telecom infrastructure sector. He holds more than 25 years of in-depth experience in handling technology, rollouts and regulatory interfaces within the areas of telecom infrastructure. He is known for his versatile understanding of Telecom infrastructure sector – from both Operator and Supplier perspectives. As MD of one of the India’s largest telecom tower infrastructure companies, DS drives business augmentation, operations & service excellence at Bharti Infratel. Under his leadership, the Company achieved a major milestone of being listed on the two Indian bourses in December 2012. He has successfully advanced its pioneering initiatives like the GreenTowers P7 programme, which has today expanded its green footprint to one of the largest within the world. His professional interests lie in building and developing teams, and combining strategic thinking with strong execution skills. As the MD & CEO of Bharti Infratel, he leads the company towards the vision of being the best and most innovative tower infrastructure provider globally. DS has worked across various capacities at Ericsson, Huawei, and the erstwhile mobile operator Escotel. DS holds a Bachelor’s degree in Electronics & Communications Engineering; and comes from a Defense services background, having worked as an officer with the Indian Air Force. He has done an ‘Advanced Management Programme’ at the Wharton University of Pennsylvania. Soumen Ghosh, popularly known as Sam Ghosh, is the Managing Director (MD) of Bharti Enterprises - Financial Services, which includes the insurance businesses namely Bharti AXA Life Insurance Company Limited and Bharti AXA General Insurance Company Limited. In his role as MD, Sam is responsible for further strengthening the management processes, business expansion and governance of both the insurance businesses. Under the stewardship of Sam, both the life and non-life insurance businesses of Bharti Group have embarked on a growth journey. He is playing a pivotal role in building strategic business value proposition and mentoring the financial services ventures. 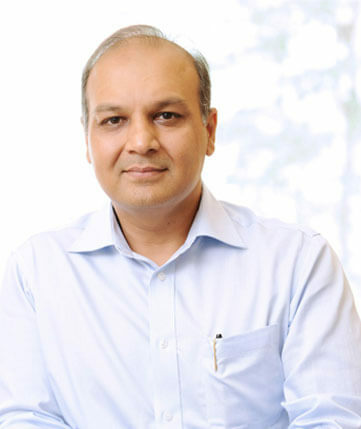 Prior to joining Bharti Enterprises in 2017, Sam spearheaded financial services business at Reliance Capital Limited as Executive Director and Group Chief Executive Officer across a variety of business lines such as life and non-life insurance, mutual funds, commercial and housing finance and asset reconstruction among others. He had led the formation of various alliances and partnerships for Reliance Capital with leading global companies and financial institutions. Under his vision and leadership, Japan-based largest private life insurer Nippon Life Insurance Company invested Rs 8,630 crore by acquiring 49% stake each in both Reliance Life Insurance Company and Reliance Capital Asset Management in 2015, the largest FDI in the Financial Services Sector. 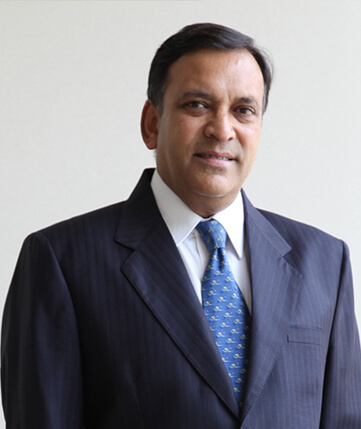 In addition, he had also forged strategic business alliances with Sumitomo Mitsui Trust Bank, the fourth largest bank in Japan, and Korea-based Samsung Asset Management Co, Ltd. Apart from leading the company as one of the top three private sector financial services conglomerate in the country, he had also been instrumental in taking Reliance Capital global. Before joining Reliance Capital in 2008, Sam was the Regional CEO of Middle East and India Sub Continent region of Allianz, a German Insurance company. He has also held the position of CEO of Bajaj Allianz's India operations. During his stint with Allianz, he was involved in setting up operations for the company in South East Asia and has spent ten years in Australia in various capacities from CFO to managing subsidiary companies as well as operations in the Pacific Rim. A Chartered Accountant from England and a Mechanical Engineer, Sam comes with 35 years of experience, 28 years of them in the insurance sector across Asia-Pacific and Middle-Eastern region. He has worked across multiple assignments in the area of capital market, money market and current market operations. In his spare time, he likes playing tennis and swimming. 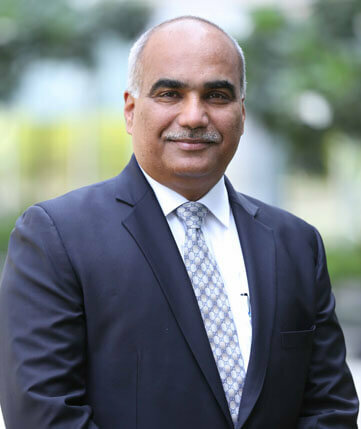 Yogesh Bellani is the Chief Executive Officer and Whole Time Director of FieldFresh Foods Pvt Ltd, a Bharti Enterprise and Del Monte Pacific Ltd, JV, since 2013. He joined the Company in 2008 as Business Head and founding member of the Del Monte Foods Business and was appointed as Chief Operating Officer in 2012. Under his vision and leadership, Del Monte has become one of the fastest growing food and beverage brand in its category in a short span of eight years. Currently, Del Monte is ranked No. 3 in Ketchup and Sauces segment and is the No. 1 Pasta and Packaged Fruits brand in India apart from being a preferred partner for all International QSR’s in India and one of the most widely distributed food service brand in the country. He has also built a robust exports business catering to top international QSR brands globally. Under his leadership, Del Monte has grown its B2B business to become one of the most distributed brands in food service and a preferred partner for top international QSR chains in India and has won several awards and recognitions consecutively over the last seven years. Yogesh has been instrumental in the setting up of the Company’s integrated and highly automated state-of-the-art manufacturing unit in Hosur, Tamil Nadu for culinary and fruit beverage production. The plant started commercial production in 2011 and in 2015, won the prestigious CII National Food Safety award in its very first year of participation. In 2016, FieldFresh Foods, Agri Centre of Excellence at Ludhiana also won the CII National award for Food Safety and Good Agricultural Practices. In May 2017, FieldFresh Foods Pvt Ltd, was certified by the Great Places to Work Institute as one of the Great Places to Work in India and was ranked among the best in FMCG in India and at 24th in the list of the Top 50 Medium Sized organizations in India. In January 2018, FieldFresh Foods was also recognized to be amongst India’s Top 25 Best Workplaces In Manufacturing. Prior to FieldFresh Foods, Yogesh was in charge of the non-rice business of Kohinoor Foods Ltd, where he led the project conceptualization and implementation of its state of the art Ready to Eat (ambient & frozen foods) plant near Delhi. He launched Kohinoor’s ‘Ready to Eat’ products rolled out from this facility, across India and international markets, and also launched a range of premium spices and seasonings under the ‘Kohinoor’ brand in the evolved retail markets of US and UK. During his tenure, Kohinoor was selected by leading global retailers (Tesco, ASDA-WalMart, Target, Coles, Woolworth’s, 7-Eleven) and global food brands (Tiger Brands, SunRice Australia) as an exclusive partner for their range of Indian and Asian Ready to Eat/Convenience foods. Yogesh has been a merit holder throughout his academics. He holds a Bachelor’s Degree in Engineering from University of Pune and did his Master’s in Business Administration from Birla Institute of Management Technology. He has also completed a One-Year Executive Education program from IIM -Calcutta and has attended an Advanced Management Program from INSEAD and Leadership Development Program at Centre of Creative Leadership, Singapore and an Advanced Leadership Program at The Wharton School in Philadelphia, USA. Passionate about teaching, Yogesh is a guest lecturer at some of India’s leading Business schools. He also serves on the advisory council of Birla Institute of Management Technology and on the Atal Incubation Centre of Birla Institute of Technology. Yogesh is a member of the CII National Council on Agriculture, CII National Council on Food Processing and on the CII National Committee on Exports and is also the Co-Chair of CII’s North Regional Committee on Agriculture and Food Processing. He is also a member of FICCI National Agriculture Committee. 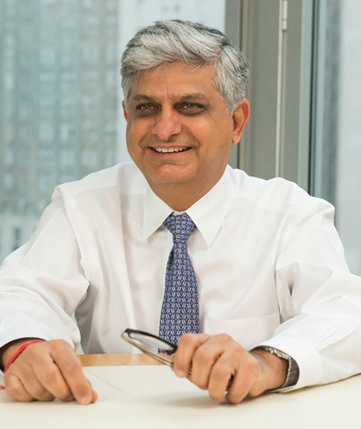 Rajeev Vasudeva served as the Chief Executive of Egon Zehnder, the leading global executive search and leadership advisory firm, from Jan 2014 to October 2018. Egon Zehnder’s geographic footprint spans 69 offices across 41 countries with 2500 employees, comprised of over 60 nationalities. Rajeev has lived and worked in three continents and has served on both the global Executive Committee, and Egon Zehnder’s Board of Directors for over a decade. He is currently based in London. Under Rajeev’s headship, the Firm embarked on a strategy of broadening and deepening its offerings in the area of leadership solutions, delivering robust and profitable growth year on year. 2018 was one of the best years in the history of the firm, cementing its preeminent position as the leadership advisor of choice to Boards and CEO’s around the world. With deep relationships around the world and in India, Rajeev is an expert counselor on CEO succession, Board performance and effective leadership. He is a trusted advisor to Boards and CEOs on the appointment, assessment and development of leaders and leadership teams. He is a particularly skilled practitioner in the transformational aspects of leadership, helping global leaders transform themselves and their organizations, to be better equipped to address future opportunities and challenges. Rajeev started his career with Egon Zehnder in 1995 and led the firm’s expansion into emerging markets that are today critical to the firm’s success. He was responsible for leading Egon Zehnder’s entry into India and establishing it very successfully as the industry benchmark. 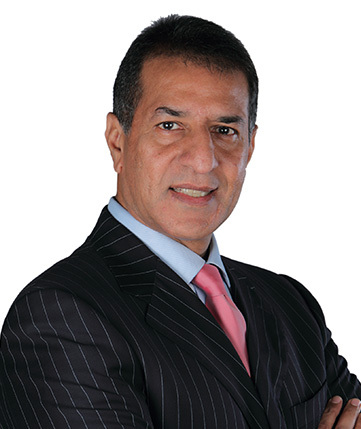 Once it became the undisputed leader in the market, Rajeev spearheaded Egon Zehnder’s expansion into Africa and the Middle East, opening the Johannesburg office and Dubai offices. He also co-founded the firm’s global Family Business Advisory practice, recognizing that this niche space required tailored leadership solutions in an ever changing global scenario. His work focused primarily on unique family business challenges like next generation transitions, leadership succession, family and business governance. Prior to merging his consultancy firm, Sachar, Vasudeva & Associates, with Egon Zehnder, Rajeev worked as a management consultant with Touche Ross and Price Waterhouse in the US and in India. Rajeev has a BA in Economics from St. Stephen’s College at the University of Delhi, a Bachelor of Laws from the University of Delhi, and an MBA from the University of Michigan, Ann Arbor. He is a Fellow Member of the Institute of Chartered Accountants of India. Once a competitive diver and tennis player, Rajeev now enjoys golf, travel, and theatre. Sushil Kumar Sayal is Chief Executive Officer (CEO) and Managing Director (MD) since 2014, providing leadership while conceptualizing and implementing a scalable business strategy. Sayal has experience of more than 30 years in the real estate industry. He was the Founding Director and CEO of Alpha G Corp (2004-2014) and Head of Operations – Mahindra/GESCO (1993-2004) prior to that. His realty skills were honed with major developers such as DLF and Ansals in the early years in his career. As a Fellow of Royal Institution of Chartered Surveyors (FRICS) UK, he led teams of highly-accomplished professionals, toward setting new benchmarks in residential and commercial development. One of Sayal’s major contributions to the sector has been his role in establishing the Real Estate Asset Management (REAM) model in India. He recently won the ‘Most Enterprising CEO’ and ‘Lifetime Achievement’ awards, in an initiative by White Page International. It has been Sayal’s ardent desire to introduce professionalism in the real estate sector. For this Sayal has authored the book ‘Inside Unreal Estate: A journey through India’s most controversial sector’. The book shares his experiences in the unlevel playing field of the Indian real estate for over three decades. Vijay is the Chief Executive Officer (CEO) of Bharti Foundation, the philanthropic arm of Bharti Enterprises, one of India’s leading business groups with interests in telecom, agri business, financial services, realty and communication & media devices. Bharti Foundation was set up in 2000 with a vision ‘to help underprivileged children and young people of our country realize their potential’. As the CEO of Bharti Foundation, Vijay has played a key role in project expansion and enhancement of quality standards and system efficiency, while constantly keeping the team morale high to deliver their best in challenging circumstances. He has led the development of the organization and its education programs at primary, elementary and senior secondary standards. Through his experience, clear vision and strategic thinking, he has also been able to establish successful and replicable models of Public Private Partnership. Under his leadership, the Satya Bharti School Program, flagship initiative of the Foundation, provides free quality education to around 45,000 children from marginalized communities in rural areas, through its 254 schools across six Indian states. Under Vijay’s leadership, learning and best practices of the Satya Bharti School Program have been taken to Government schools, through the Satya Bharti Quality Support Program. While the aim is to improve the overall quality of the schooling experience, his guidance has broadened the Foundation’s scope from running its own schools to engaging deeply with the Government and mentoring Government schools to enhance the quality of education as well as the overall schooling experience. While the focus remains on quality education, the Foundation has also initiated ‘Satya Bharti Abhiyan’ (sanitation program). Through the Abhiyan, there has been a remarkable improvement in household sanitation facilities and in the provision of toilets for girls in the Government schools across Ludhiana District. Recently, the Foundation announced the expansion of this initiative to also benefit community members in rural Amritsar. Vijay has over forty five years of professional experience in different fields. He has served in the Indian Army for twenty years and headed some of the leading corporates in the travel and hospitality industry. It was his innate desire to contribute to society in a meaningful and substantive way that drew him from the corporate world to the Foundation. His army background has inspired many processes and events to inculcate a sense of patriotism and integrity within the school program. A graduate from the National Defence Academy, Khadakwasla, Pune, India and the Canadian Forces Command and Staff College Toronto, Canada; Vijay went on to complete his M.Sc. in Defence Studies from Madras University. Vijay is also the Chairman of the Managing Committee of Modern School, Barakhamba Road, one of the elite schools of India. He is a part of various National Committees in the area of Education, Skill Development and Corporate Social Responsibility (CSR) and has also served on the board of significant Travel & Tourism Associations. He has represented the organization at various renowned international and national fora. Vijay is also on the Advisory Committee of leading schools and educational institutions. 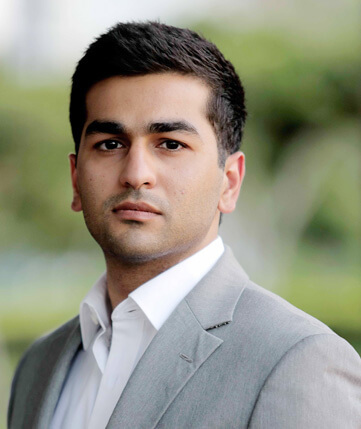 Kavin Bharti Mittal is the Founder and Chief Executive Officer (CEO) of Hike Messenger. With over 100 million registered users exchanging over 40 billion messages per month, Hike is the only successful Indian messaging platform with such scale. Along the way, Kavin has raised over USD 250 million in capital from top tier investors such as Tencent, Foxconn, Tiger Global, SoftBank, Bharti and some of Silicon Valley’s top tech veterans. In August 2016, Hike became the 10th Indian company to receive a valuation of over USD 1 billion. It also became the fastest company in India to attain a Unicorn status, having reached the milestone in just 3.7 years. With this milestone, Kavin also became the “youngest Indian to create a $1B+ company in India (28 at the time)”. Kavin launched Hike in December 2012 with the simple idea that in a mobile first market like India, where the first screen for most would be a mobile device, one could bring India online through messaging. Hike today, as a result, is a new kind of messaging app that not only simplifies how people connect with one another, but is also changing the way they interact with content and services on mobile. As someone whose passion lies in creating top class teams and building products for mobile first Indians, Kavin believes that messaging will do for mobile, what the browser did for the desktop times a 100. Prior to Hike, Kavin founded AppSpark at the age of 20 in his last year of University, with a belief that smartphones would change the way people live their lives. In 2009, AppSpark launched ‘Movies Now’ in partnership with movietickets.com, the first ever movie ticketing app on the iPhone that would go on to change the way consumers bought movie tickets on the go. Later, Apple recognized Movies Now as 'One of the 10 Essential Movie Goer Apps' for the iPhone due to its focus on user experience and design. At AppSpark, Kavin was dabbling in mobile payments in 2009 when it was unheard of. Kavin completed his Masters in Electrical and Electronics Engineering and Management (M.Eng.) from Imperial College, London. During his summer breaks at college, he interned at some of the world’s leading companies such as McLaren Racing, Google and Goldman Sachs. Ramit Bharti Mittal is the Chief Executive Officer (CEO), a company promoted by the Bharti Family Office. Gourmet Investments and PizzaExpress Holdings have a 50:50 JV for operating PizzaExpress chain of restaurants in India. Ramit is also the founder of Bulldog Entertainment, a media production and format licensing company representing globally renowned formats such as ‘The Apprentice’, ‘India’s Next Top Model’ and ‘Are You Smarter Than A Fifth Grader’. Before founding Bulldog Entertainment, Ramit worked with Bharti Retail, where he set up the brand proposition and worked directly on the genesis of the Easyday brand. Prior to Bharti Retail, he worked at the IBM headquarters in Armonk NY in the Marketing Intelligence unit where was part of the team that assessed and activated IBM competitor landscape in North America as well as assimilate IBM’s acquisitions in Europe. Ramit started his career with Y&R Singapore, where he was managing account planning for clients such as Citibank and Chivas Regal. He has also worked with Teletech Services and trained with leading companies like Hero Honda and British Telecom. Ramit has done his schooling in Delhi and has an MBA degree from Southern Methodist University, Dallas (Texas). 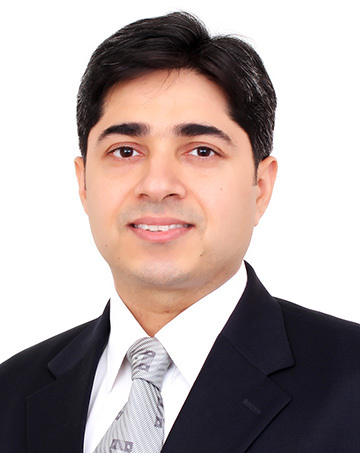 Mukesh Bhavnani is the Group General Counsel of Bharti Enterprises. In his role as the Group General Counsel he is responsible for strategic and high impact legal policy and structuring across all Bharti businesses, litigation related to key matters and M&A. Mukesh has over 39 years of varied experience across multiple industries including mining and oil &gas, insurance, infrastructure, media, and consumer goods. Mukesh has inter alia worked with Vedanta Resources Plc, Essar Group, Sony Entertainment Television, Max New York Life Insurance, Coca-Cola India, Jumbo Group in Dubai, Godrej Soaps. Mukesh is a Graduate in Law and Commerce from Bombay University and a qualified Company Secretary. Deven Khanna is the Group Director, Chairman's Office and is responsible for driving key initiatives and strategic projects across all businesses of the group. Deven has nearly 30 years of experience in finance and general management. He started as the Group Financial Controller in 2004 and later became Corporate Director - Finance in 2008 before taking on the current role in 2011. He has spearheaded financial reporting, business planning, revenue assurance, taxation, risk management and a host of strategic projects including structuring initiatives. 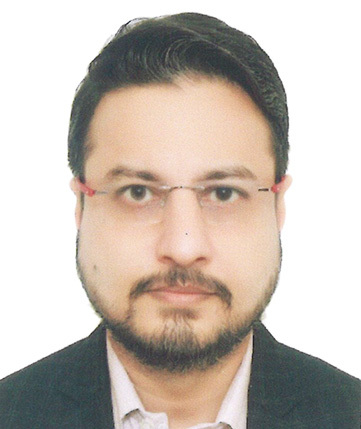 Deven serves as a Director on the boards of Bharti Enterprises Holdings Pvt Ltd, Bharti Telecom Ltd, Bharti Hexacom Ltd, Bharti Telemedia Ltd, Comviva Technologies Ltd & Centum Learning Ltd and has served on the boards of Bharti AXA Life Insurance Ltd and Bharti AXA General Insurance Ltd. Prior to joining Bharti, Deven worked with Triveni Engineering & Industries Ltd as the Chief Financial Officer for a business portfolio including sugar, steam turbines, sugar machinery, water treatment, micro hydel and oil drilling. Deven is a commerce graduate from Sri Ram College of Commerce, Delhi University and is a Fellow Member of the Institute of Chartered Accountants of India. Starting as a corporate & investment banker & finance professional leading into business roles, Harjeet has 22 years of work experience. 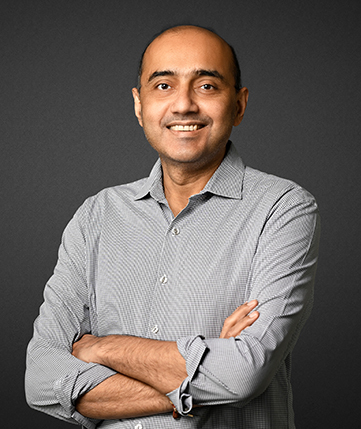 As the Director Finance for Bharti Enterprises, he sponsors the business value proposition & growth for all of group's emerging businesses, across Life & General Insurance, Real Estate, FMCG, Tech & Distribution & others; leads the group's and Airtel's corporate finance, funding and risk & markets verticals. Harjeet also serves as a Director on the boards of Bharti Enterprises Limited, Bharti AXA Life Insurance Company Limited, Bharti AXA General Insurance Company Limited, Bharti Realty Limited, Comviva Technologies Limited, Brightstar India, Centum Learning Limited, Centum Workskills India Limited, amongst others. Harjeet has also been a specialist across equity, financing and markets space, both as a banker to large corporates as also as a large cap multinational issuer / corporate & leads the corporate finance function for Airtel & Bharti Enterprises, for capital structure, equity, currency & rate risk, investments management, and stakeholders' management. Harjeet has worked on several strategic projects for Bharti Enterprises, across expansion, acquisitions, divestitures, IPO, QIP, Secondary sales, capital markets debt, equity market - across listed companies (Airtel/ Infratel) & including business/franchise deals in Insurance, foods, real estate et al. Prior to joining Bharti Enterprises 10 years ago, he had 12 + years of corporate & investment banking experience at Citibank, across business build-outs, product lead, structuring, sales, relationship management, capital markets & market management. Having played the role of a Trusted Advisor to clients across all their senior needs, organic as well as strategic; complimented well by corporate / buy side roles across capital management and business - provides him the ability to look at diverse businesses, across industries and varied evolution and situations, for strategic interventions so as to create and enhance value. Nakul serves as the key interface between the corporate office and operations, leads the investor relations & group taxation functions, monitors investments across geographies and works closely with both Airtel India and Airtel Africa to ensure high quality deliverables by group finance shared services function to both regions. He also serves as a Director on the Boards of Airtel Ghana, Millicom Ghana and Robi Axiata. He has a rich experience of over 17 years, the last 9 years being in the Telenor Group. 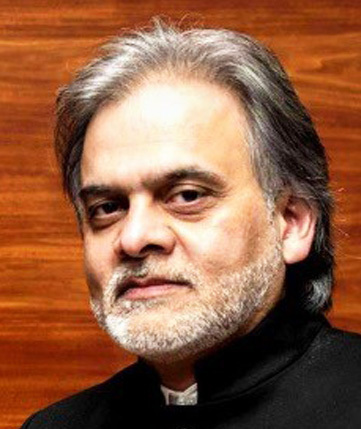 During his career with Telenor, Nakul has been in several roles spanning multiple geographies - India, Central Eastern Europe, and most recently Malaysia where he was the Chief Financial Officer of Digi.com Berhad. He was formerly the Chief Financial Officer of Telenor Hungary overseeing all financial matters and was responsible for establishing and executing the company's strategy and the Enterprise Risk Management efforts. Prior to joining Telenor Group, Nakul also worked with Ernst & Young and PWC. Nakul has worked in three continents in key positions within the financial and commercial areas of international business operations in emerging and advanced markets. His experience includes driving operational excellence, identifying opportunities to enhance cash flows and building robust processes. He has also been a team leader in Assurance and Business Advisory Services for large multinational / multi location clients within the telecom, technology, retail, manufacturing and financial services industries advising and assisting in US GAAP, IFRS and SEC requirements.